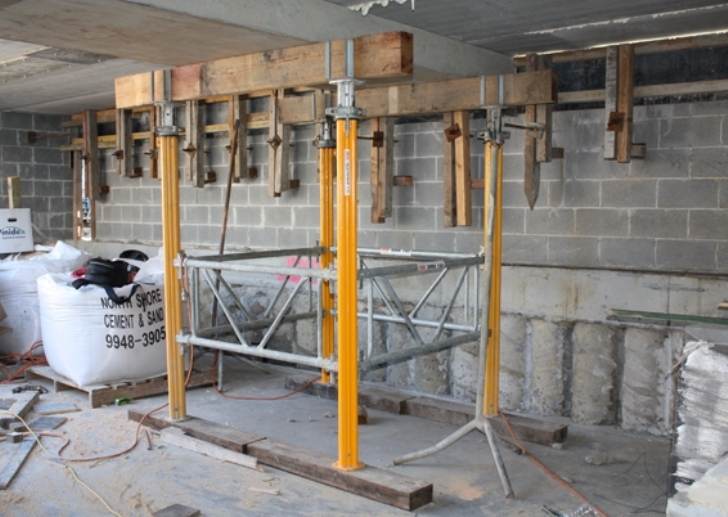 Shore Hire was engaged to assist our customer with a newly constructed floor at a project in Double Bay, Sydney. 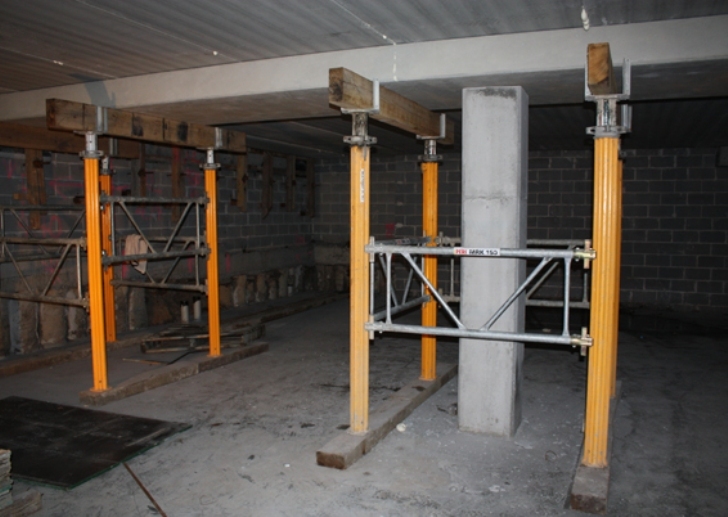 The floor required back propping to enable further construction to take place above it. 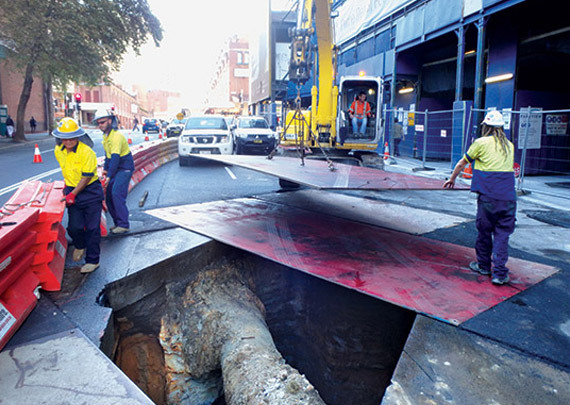 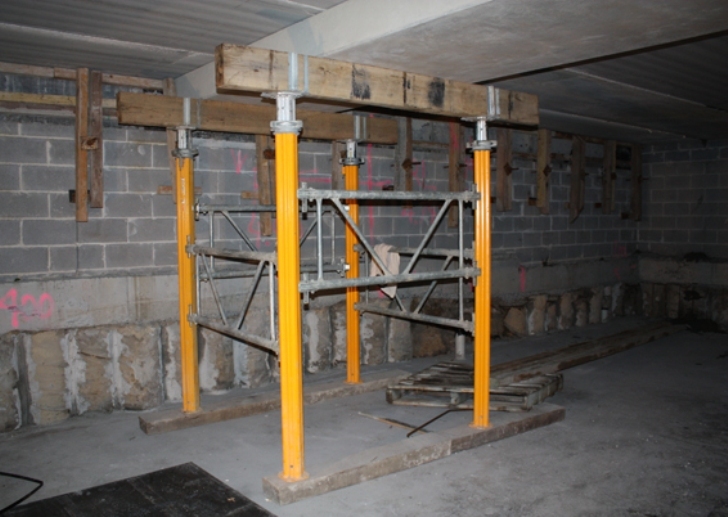 Tight underfloor access presented particular challenges to propping. 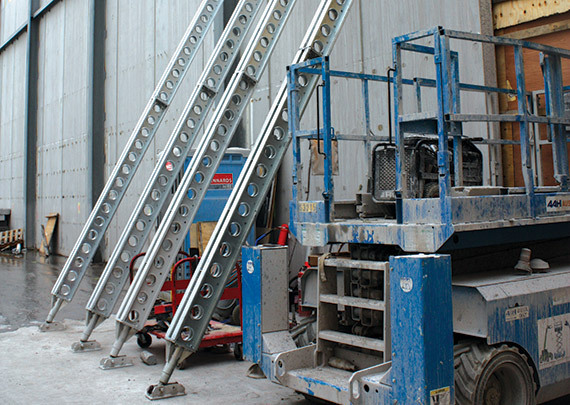 For this job Shore Hire specified aluminium multi props with added side bracing frames to provide a simple, high load-bearing solution. 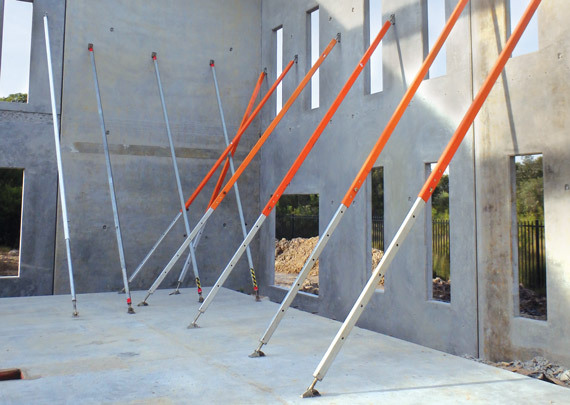 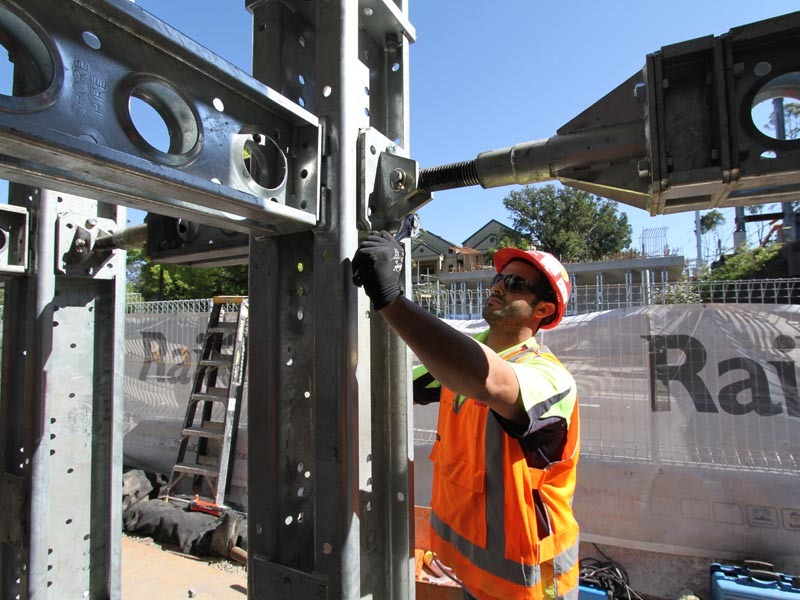 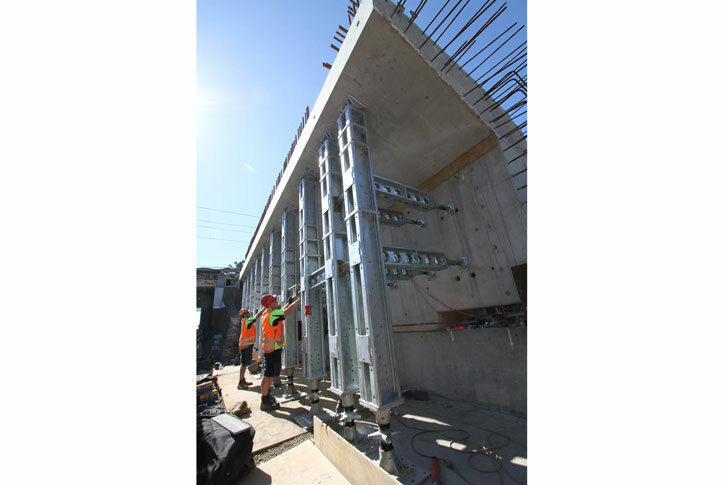 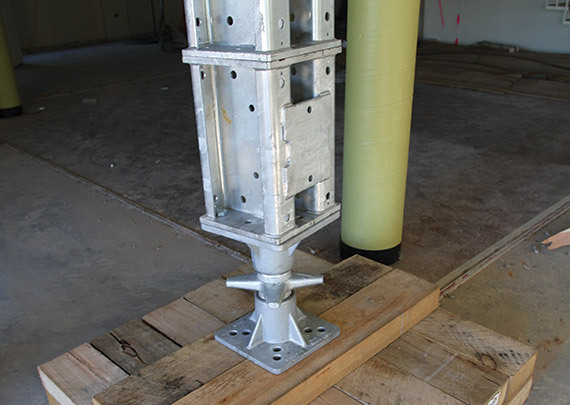 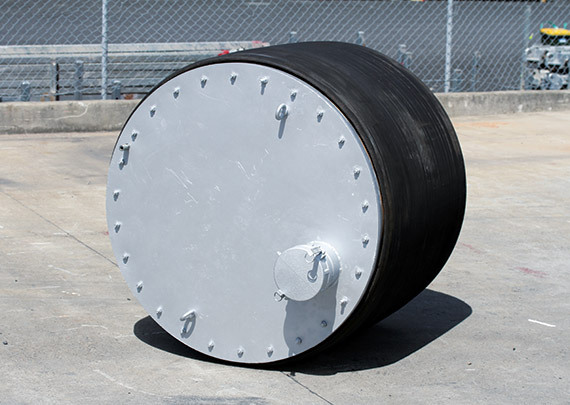 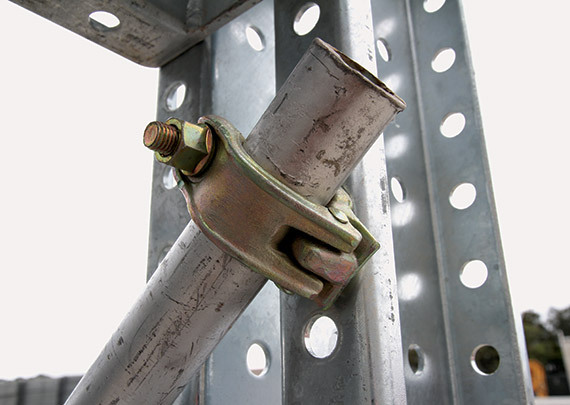 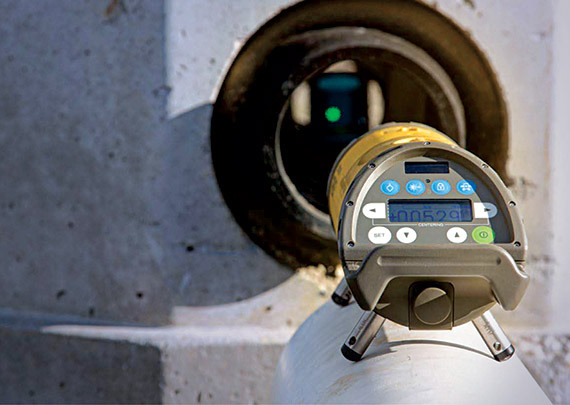 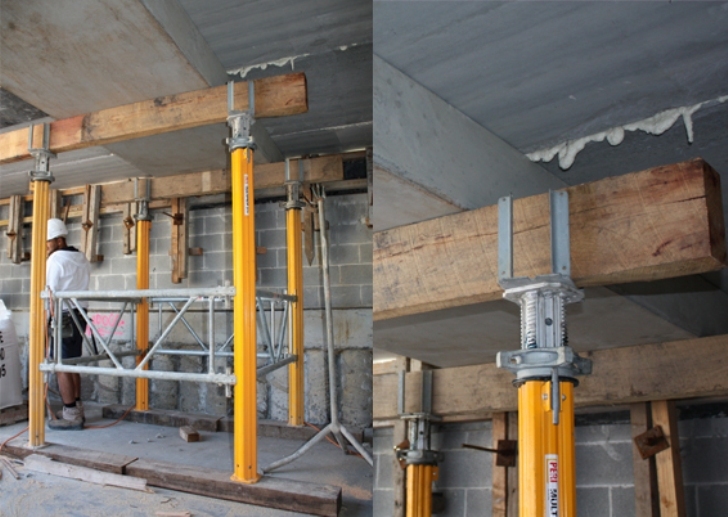 Multi props are ideal for hollow core deck support in tight access environments, with flexibility and portability enabling a variety of uses, yet with significant load-bearing and durability advantages over comparable alternatives, such as steel tubing. 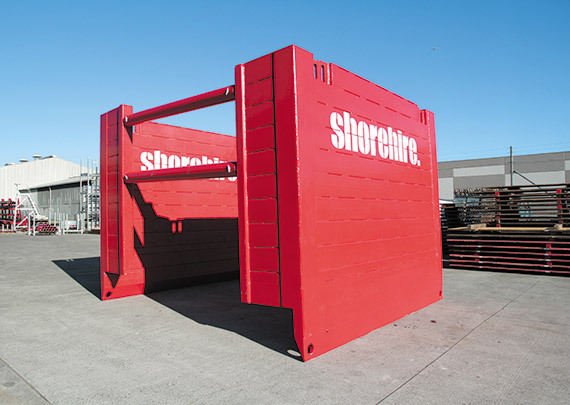 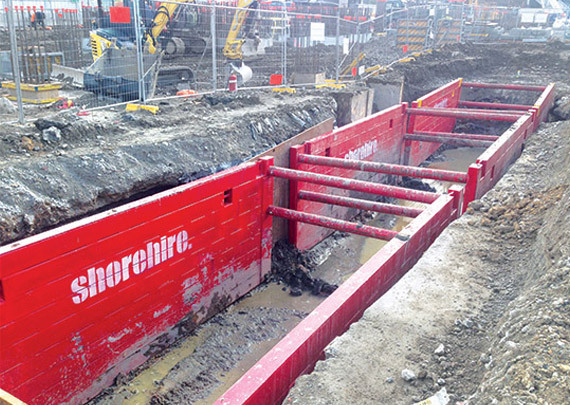 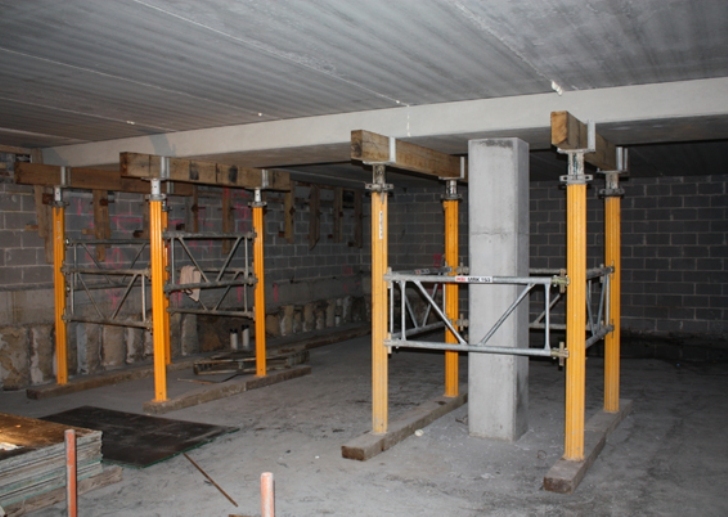 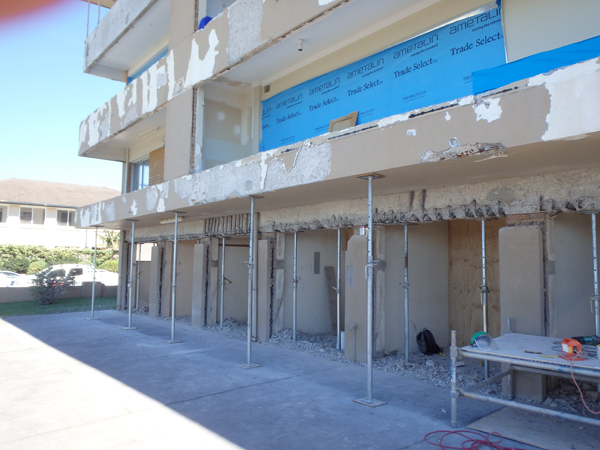 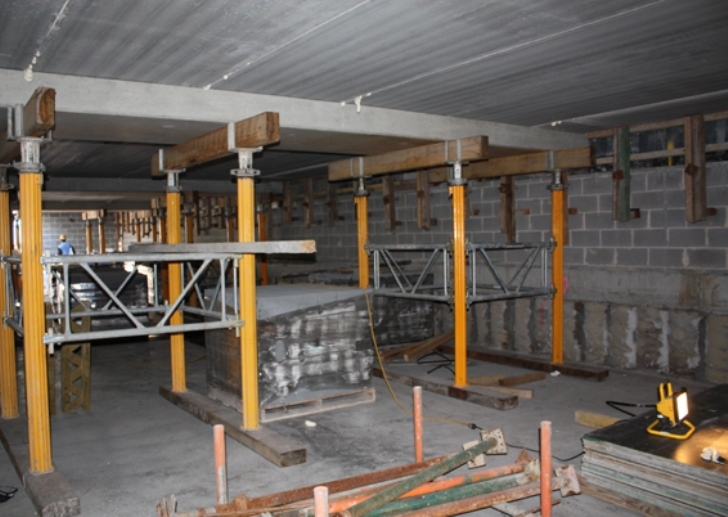 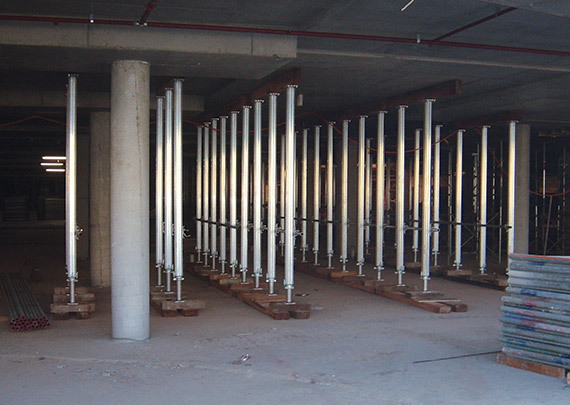 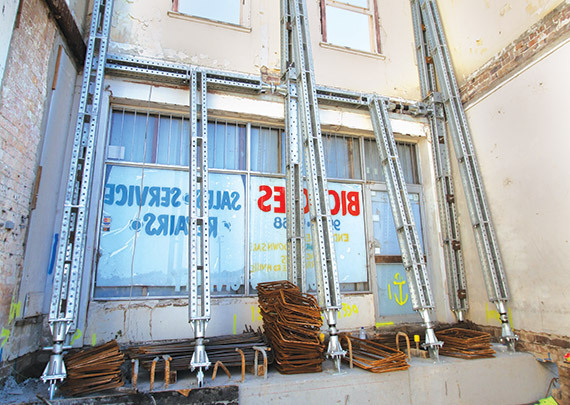 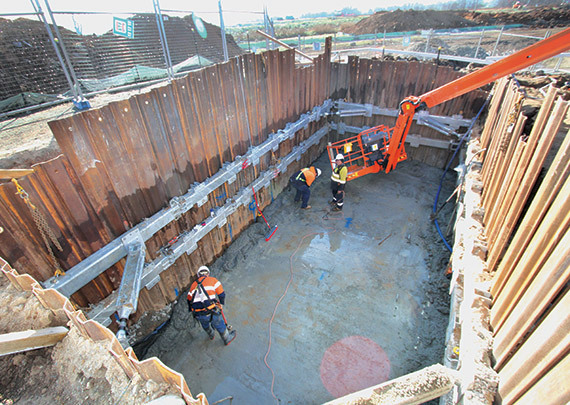 Shore Hire’s multi prop solution overcame tight access issues and provided the high load-bearing required for this hollow core deck support application.